If you're a business that wants to sell goods and services online, we can help accelerate your revenues with our state-of-the-art online payment gateway integration solutions. 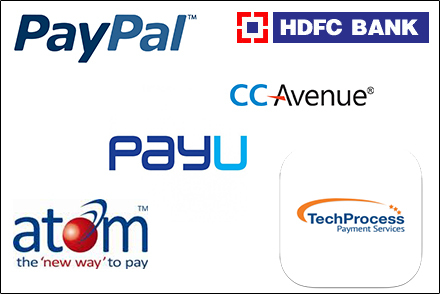 A payment gateway is an e-commerce application service provider service that authorizes debit card, credit card, online bank payments for e-businesses. We offer Payment gateway solutions for B2B and B2C business solutions. TechnoDG focuses on flexible, effective and user friendly solutions for extreme competitive prices. Our efficient technical team can help your business Get Going within hours. Our processes are highly organized and we are determined to assist you at every step. Out technical team is well versed with API's of different Gateways to be integrated with your online systems.